Ain’t Them Bodies Saints doesn’t rewrite the rule book or transform the genre in any way that’s new or different and that’s okay. When a movie is as close to perfectly constructed as this, when the acting is this universally excellent, not being the most original noir in the backwoods Texas hill country is just fine with me. Prince Avalanche isn’t loud. It doesn’t bark out its intentions in the first frame or seem interested in being more than the sum of its tiny, intimately woven parts. It’s leisurely paced and doesn’t spell everything out, Green assuming the viewer will be smart enough to put the pieces together for themselves and decide on their own what the final truths as to what Alvin and Lance have experienced and witnessed mean for their respective futures. Less than 12 months later, producers/writers/directors Simon Barrett and Adam Wingard have managed to cajole another group of talented filmmakers to take their crack at the concept, and results are, to be perfectly frank, close to astonishing. V/H/S 2 doesn’t just improve upon the first film, doesn’t just take note of its missteps and mistakes, it quickly enters the pantheon as one of the great horror anthologies ever made. The Way, Way Back proves a familiar story in the hands of great filmmakers confident in their abilities (as well as in the talented team they’ve assembled to assist them) can still be worthwhile. This movie is wonderful, nothing more, and certainly nothing less, the truths it revels in may not be new or revelatory but that doesn’t make them any less compelling or, for that matter, universal. 20 Feet from Stardom has style, it has pizzazz and most of all its got power, it’s saga of singers at the cusp of success continually giving every ounce of themselves to make it happen for someone else a universal inspirational daydream in every way that matters. The brothers Cairnes stage their escalating series of unfortunate events with lackadaisical confidence, propelling things ever forward with jovial efficiency that’s as inventive as it is absurd. They spill a lot of blood, throwing guts and bits of flesh all over the place, doing it with a gorgeously energetic joy that’s continually impressive. 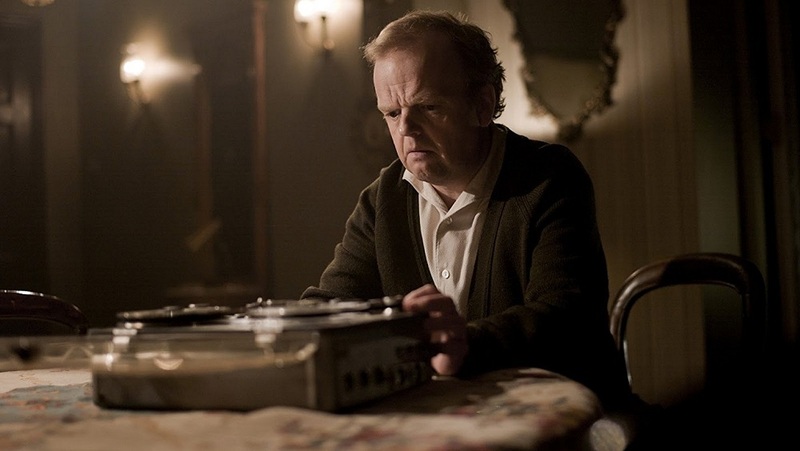 I’ve watched Berberian Sound Studio three times and I’m still not entirely certain I’ve got it all figured out. At this point, I’m fairly certain I’m not supposed to. The pacing, while measured, some might even go so far as to call it leisurely, felt spot-on as far as I was concerned, everything building with an unhurried malevolent elegance that kept the tension building and the suspense continually omnipresent. I’m not sure what to write about Sofia Coppola’s The Bling Ring. The movie is as observationally distant as many of her previous films, especially Somewhere, to a lesser extent Lost in Translation, looking at its vapid, materialistic, fame-obsessed central group of teenage reprobates with the same disaffected malaise they themselves project. It’s aggressively nonjudgmental, the film choosing to view its protagonists with a detached superficiality that doesn’t connect emotionally but still manages to pack something of a major, uncomforting wallop all the same.